Fishpond Westwater Roll Top Duffel. It has the capacity to haul a full day's worth of gear, no problem! It has a roll-top design to keep that gear dry and secure, no problem! It has single-hand, side-strap, and rubber shoulder straps to pick up, pull out, and carry it away, no problem! 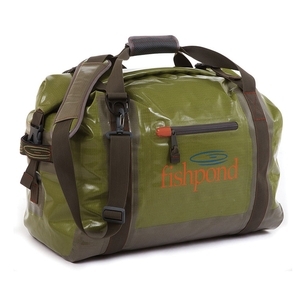 The Westwater Roll Top Duffel means you are all out of excuses. Go fishing! 22" x 14" x 11"